About an hour ago I had a bath. OK, so thats nothing new (I'm not that stinky) but on a Thursday that bath is the one thing that drives me to get through the day. Thursday is my day off work. My day off should be relaxing... but it isn't! I spend a Thursday morning taking my toddler and preschooler to swimming lessons. In the afternoon I take Holly out and about then come home to finish of the weeks chores. By the time Mr. B. gets home from work I am totally worn out... I hand off both girls to him and disappear for that short half-hour of me time. The bath. Mellow Time. 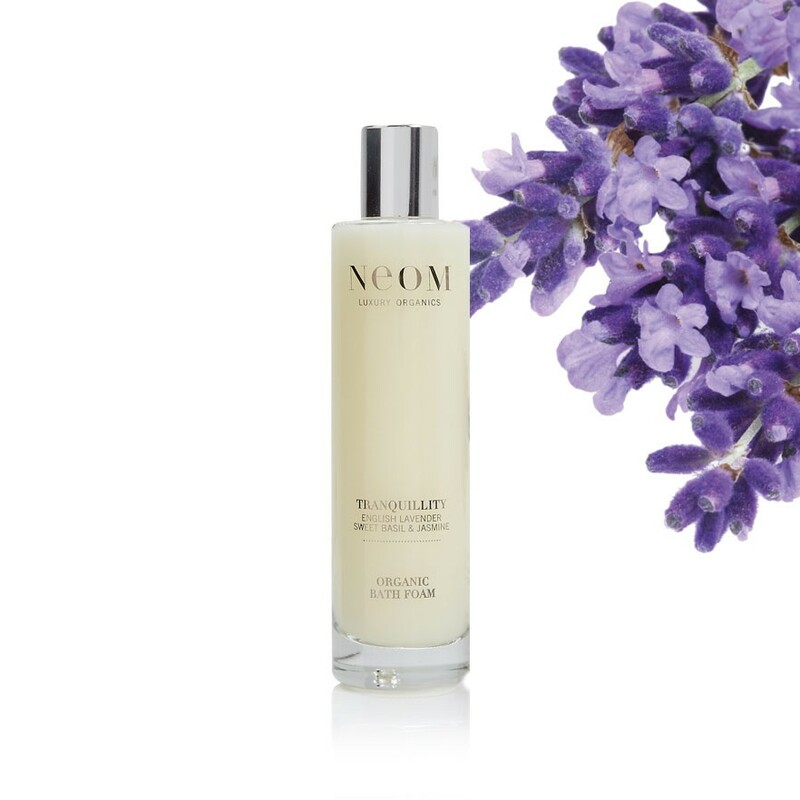 Today's bath was made all the more mellow by the addition of my latest find - Neom Luxury Organic Tranquility Bath Foam. The Tranquility bath foam is perfect for the run-up to bedtime because the blend of organic essential oils is calming and relaxing... it helps me in the wind-down period and is a perfect way to recover from the stresses of the day. the philosophy behind Neom Luxury Organics is exactly my mantra - natural and organic cosmetics don't have to sacrifice quality, luxury or incredible fragrances. Natural oils make some of the most amazing scents on the planet and I have been known to sit on the edge of the bath sniffing the bottle while my bath runs! The scents which contribute to the mellowness are a blend of English Lavender, Jasmine and Sweet Basil. I did find though that the scent quickly fades once you have run the bath. But actually, I don't think that really matters. 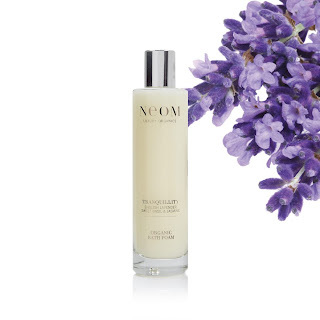 Once I'm in the bath I look for a non-oily mix but which doesn't dry the skin and the Neom luxury Organics bath foam does just that. Afterwards my skin feels as relaxed as I am and I'm sure this is to do with the active ingredients of Aloe Leaf, Marshmallow, Sweet Almond and Coconut. At £20 for a 200ml bottle, the Tranquility Bath Foam is certainly an indulgence but my, oh my, does it feel good at the end of a Thursday evening! I do love it though and if the scent lasted that little longer once I was in the bath then I think it would have a permanent role in my Thursday evening ritual.